The calendar year 2016 and the fishing season is over. Very important equipment item appeared just in December. 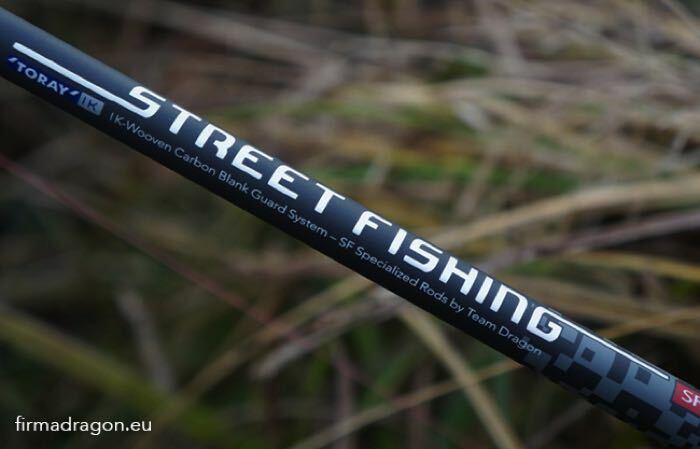 During the last days of December I received from my friend Waldek Ptak new spinning rod from STREET FISHING series.I was very happy because I like testing new trends in fishing, probably like every angler. 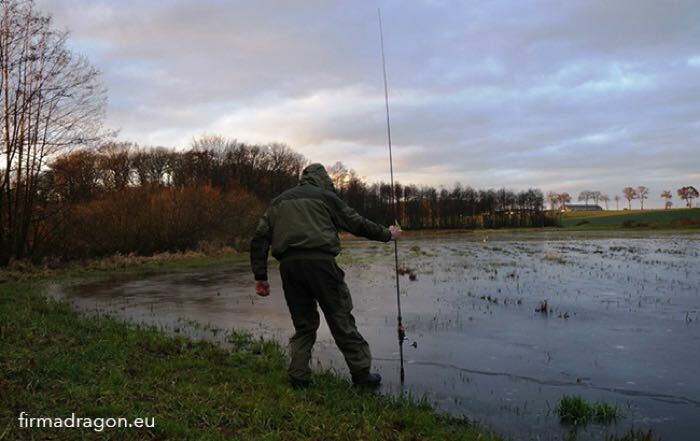 After my telephone conversation with Waldek I decided to choose the rod with length 2.60 m, t.w. 5 - 21 g. Why did I choose this one? Because I wanted to confront this rod with zanders from my fishery. Finally I have "my" rod into my hands. I am watching and watching and my eyes are getting bigger and bigger - modern design immediately catches attention and the production quality raises my trust. Without hesitation I put TEAM DRAGON FD930 iZ reel on it, it fits like glove. During tightening the reel my attention catches something, what I haven’t had in my rods so far, which are two tops, the first one is to fix the reel and the second one is to double the first one. 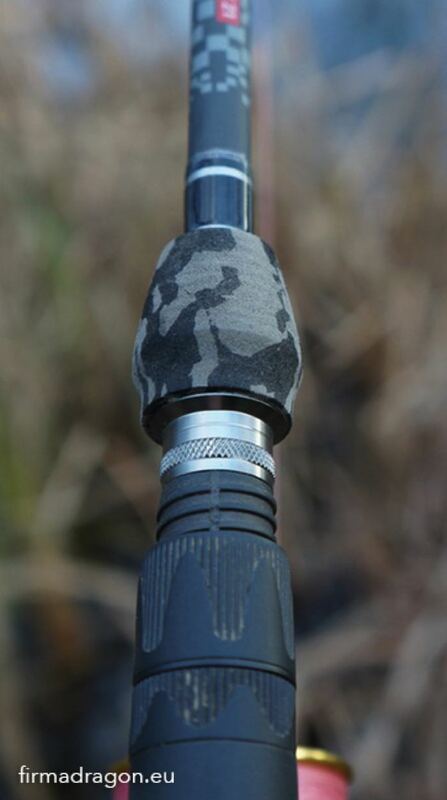 This lock completely eliminates accidental loosening the reel in the handle. I am standing over the water. For my first cast I choose a small lure on light jig head - the spinning rod does well although that its casting weight dedicates it to rather so called medium spinning, not for small and rather light lures. Leading my rod I can feel very delicate tug and at the same time time I can see very small perch on my rod. The fish is far away from 20 cm but the bite was noticeable. Another day, another fishery and different lures, this time I also use spinners. I am observing the fishing rod, it is working great, even with spinners size 4 - the blank of the rod is really well done by professionals. The best matts also matter - what TORAY is TORAY, high quality does its job. The last attempt was fishing with soft lures which were heavily loaded, that is in the range of 20 - 25 g. I quickly realized that it was nothing terrible for this rod - you could excellently feel the action of the lure, the blank works wonderfully with big fish, bending fantastic from the tip to the bottom. I became convinced that river anglers would be happy with this rod. Ity holds big fish well, which I finally lost when trying to take it but dynamic fight let me know the behaviour of the blank in difficult situation. For me this rod is fabulous.